This concert is a truly unique opportunity to hear these beautiful settings re created by a handpicked ensemble, transcribed by Callum Au and exquisitely sung by Matt Ford. The evenings music will also feature our very special guest the multi award winning Dave Newton along side the dynamic Tippett Quartet, harpist Hugh Webb,Callum Au, Trombone, Howard McGill saxes,flute & clarinet with Matt Skelton & Jeremy Brown,drums & double bass. 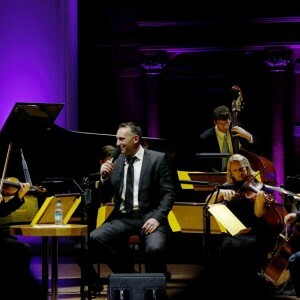 To balance the evening programme there’ll be plenty of swinging Sinatra repertoire taken from classic albums as well as Jobim Bossa Nova & arrangements taken from the legendary Charlie Parker with Strings recordings to feature John Wilson Orchestra and BBC Big Band lead saxophonist Howard McGill. 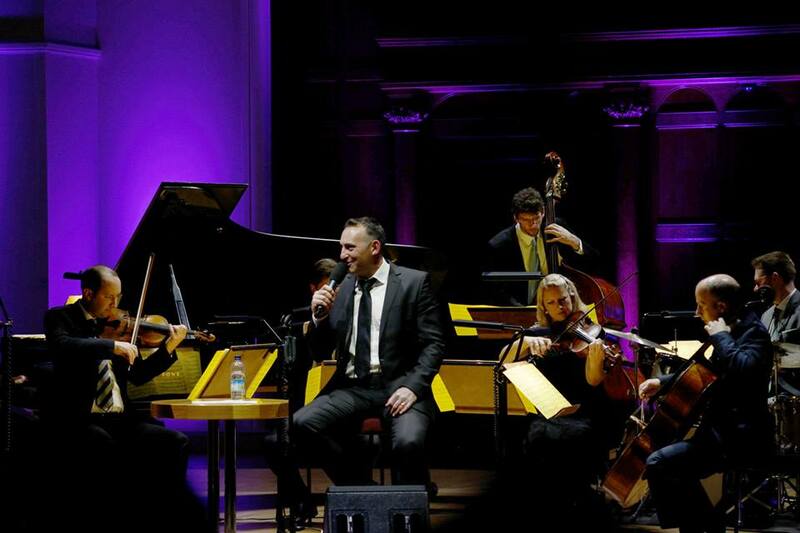 In all, an unmissable evening celebrating Sinatra, Song & Swing.